When San Antonio says they are dedicated to education, they really mean it! 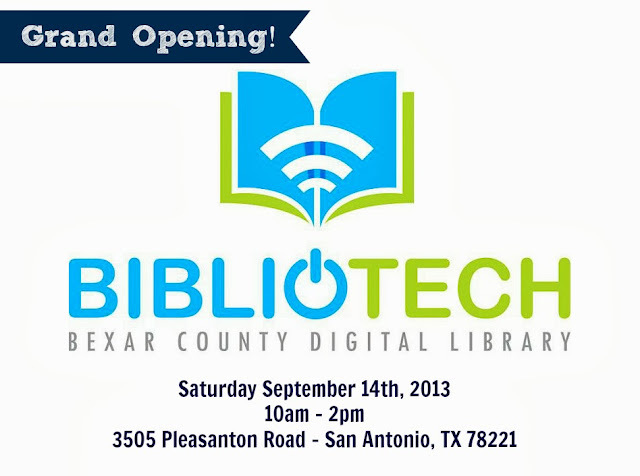 On Saturday, September 14th, Bexar County is opening BiblioTech, the country's FIRST Digital Public Library. That is right, the Southside of San Antonio, which does not have a single bookstore, will have the first all digital library. It feels good, doesn't it? Come celebrate and get your library card (free for Bexar County Residents) and get to know all of the services that will be available to you on and offsite! With your Bibliotech card, you do not even have to physically be at the Binlotech to get your reading on. You can download e-books and audiobooks to your own mobile or tablet using the 3M app, selecting BiblioTech and entering your library card number. You can also login to use Mango, language learning software, from your own computer, virtually anywhere! Perfect for dual language learning! 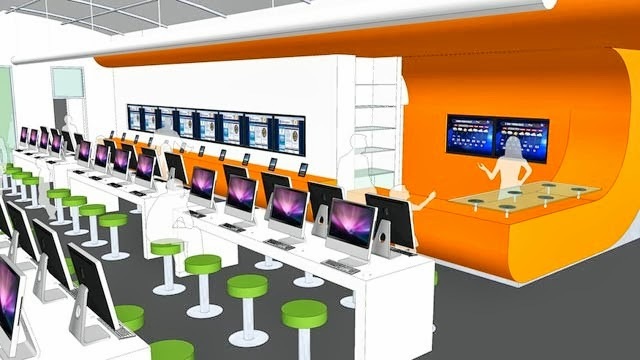 At BiblioTech, you can read e-books, use the internet, have access to computers, tablets and laptops, take computer classes, bring your kids for future story times and use their meeting/study rooms. You can also rent an e-reader for up to 2 weeks. All of this, just for being a resident of bexar county! The normal business hours will be from Noon to 8pm, Monday thru Friday and 10am - 6pm on Weekends. So stop by the Grand Opening on Saturday if you are free or sign up for you very own BiblioTech library card through the county's website. And keep up with them on Facebook and Twitter for the latest news!